Who knew that a hybrid device combining elements of a smartphone and a tablet would prove to be popular with consumers? The original Galaxy Note took the market by surprise and Samsung’s follow up device, the Galaxy Note 2 raised the stakes by improving on its predecessor in every way. Here we examine the most notable Galaxy Note 2 problems that owners are complaining about and we try to find solutions or handy workarounds. If you’re worried, then it’s probably a good idea to have phone insurance or invest in one of the many Galaxy Note 2 cases on the market. Solution: If your screen does get cracked or broken, you should be careful about where you order a replacement. 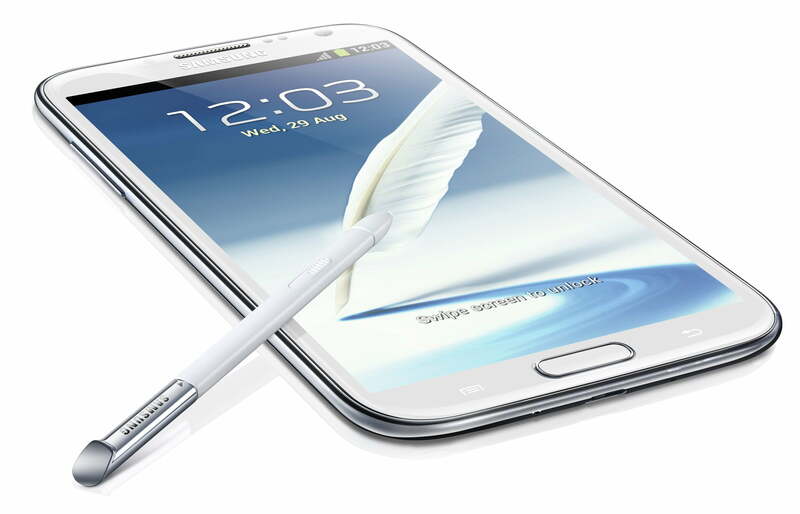 The safest option is to go through Samsung and send your Note 2 away for repair, but it is likely to be expensive. Alternatively you could go to a local repair shop, or order replacement glass and try to do it yourself. If you are going to order replacement parts then make sure the source is reputable. Problem: A lot of people have complained about the Note 2 battery discharging surprisingly quickly. Obviously, the more you use it and the more features you have turned on, the faster the battery will drain. If you’ve got GPS and mobile data turned off and you aren’t using your Note 2 much and it still drains the battery a lot then there are other things you can try. Start by going to Settings > Battery and see what is eating most of the power. Solutions: Some people encountered an issue related to Google Maps, for some it was other Google services. Google does release bug fixes in updates. Make sure that you have the latest Android update via Settings > About device > Software update > Update. Go into Settings and then scroll down to Accounts and turn off, or reduce the frequency of automatic syncing. Some people reported success when they removed their microSD card from the Note 2. If you remove the card and the fast battery drain problems seems to be gone, then back up the contents on your computer, and then reinsert the card in your Note 2, then format it, before copying the contents back over. It’s quite possible that a rogue app is eating your battery (it should show up listed in the Battery screen, but it might be a process name rather than the app name). You could always try booting your Note 2 into safe mode. If there are no problems in safe mode, then you can safely assume it’s an app and start trying to identify it by removing apps one by one, or backing up and performing a factory reset and then reinstalling them one by one. To boot into safe mode: hold down the power button and select Power off > OK. Press and hold the power button until the Samsung logo appears, then let go and press and hold the volume down key, keep holding it until safe mode appears. Problem: Some Note 2 owners have found that their contacts occasionally disappear. The contact info will be gone, and previously received calls and texts will just display the number, as though it is an unknown contact. Solutions: This could be caused by an app. There was an issue with an app called Call Control and other call filter or blocker apps could cause similar problems. You should make sure that all of the apps that you are syncing contacts from are up to date. Go into the Contacts app and tap Menu and then Accounts to see a list and your sync settings. Go into the Contacts app and tap Menu and then Contacts to display and decide where you want to display contacts from. Sometimes duplicate contacts from multiple sources can cause problems. It might be worth choosing a primary contacts repository, making sure it lists all the contacts you want, and then turning off the other sources. You could also try the Contacts Sync Fix app. Updated on 8-26-2013 by Simon Hill: Added fast battery drain and contacts disappearing problems with possible solutions.